Jarueba Taylor has over fifteen years experience in the health and fitness industry. 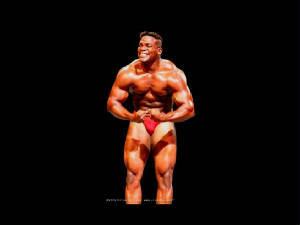 Jarueba developed his love of fitness, exercise, and nutrition at an early age after reading bodybuilding and fitness magazines. 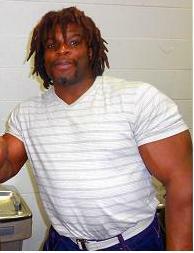 Jarueba furthered his love by working in various health clubs and health nutrition stores. “Train hard, eat right” is his mantra. After attending Fitchburg State College to obtain a degree in Exercise Management, Jarueba enhanced his fitness knowledge by becoming a Dietitian, Sports Nutritionist, Certified Personal Trainer, and Exercise Rehab Specialist. Coupling the right fitness program with the proper nutrition, Jarueba set off to help all fitness enthusiasts from the novice to the experienced athlete with his experience and knowledge. Jarueba not only shared his belief with others but also lived it. Jarueba was a competitive bodybuilder for the Musclemania bodybuilding and fitness federation and the National Physique Committee. Along with competitive bodybuilding Jarueba was also a fitness model and talent. In 2006 Jarueba decided to expand his love for fitness even more by establishing Taylored Nutrition. Taylored Nutrition specializes in custom designed nutritional and or exercise programs based on an individual’s needs. Being well versed in nutrition for all body types and fitness levels, Jarueba’s clients vary from the everyday person to the skilled athlete. Jarueba has worked with a wide variety of clients ranging from housewives, CEO’s, mixed martial arts fighters, sports athletes, power lifters, female figure competitors, and bodybuilders. 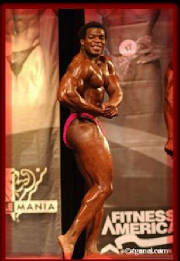 Jarueba also is a competitive bodybuilder as well as competition prep coach.